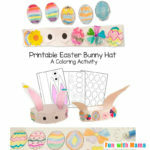 Easter is coming and that means Easter activities. 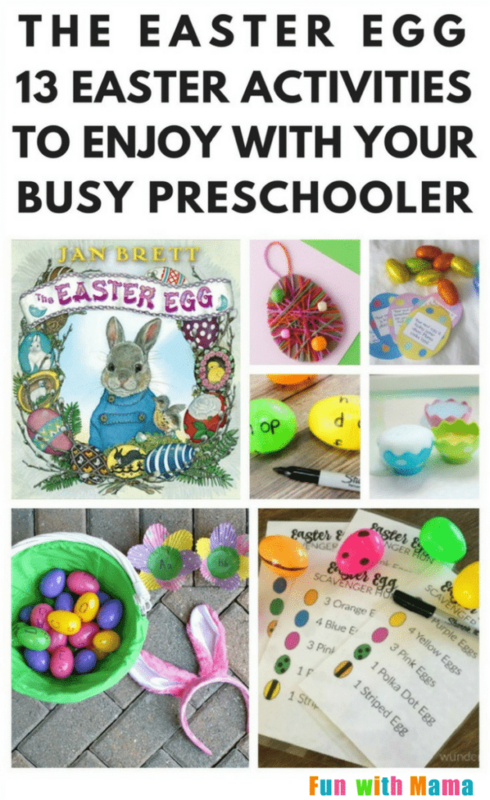 Introduce your kids to the wonderful book “The Easter Egg.” Then enjoy some Easter finger plays, crafts, learning activities and STEM activities with your preschooler. Easter is one of my favorite holidays. In our house it always heralded the coming of spring and warmer weather. 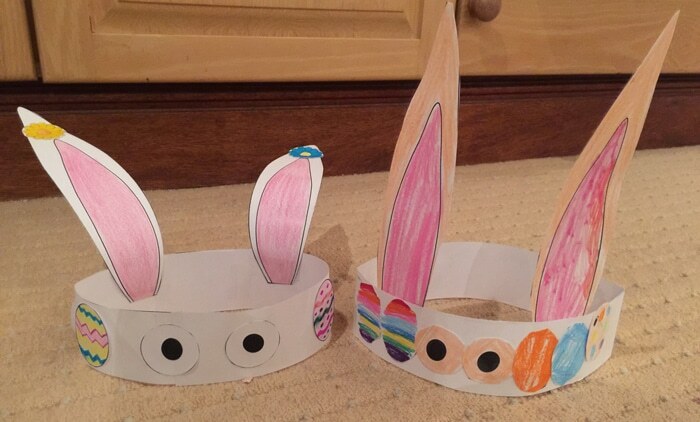 It also meant lots of fun Easter activities with my boys. 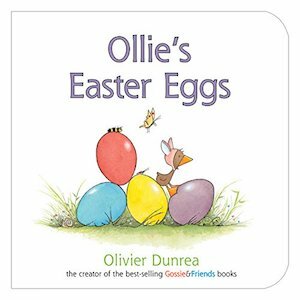 Today we have a beautiful Easter book for you to enjoy with your children and a wonderful selection of Easter themed activities to choose from. Are you ready to have some fun? 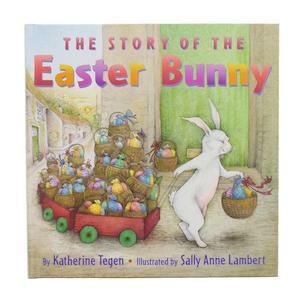 Let’s start with A fabulous Easter book. If Hoppi can make the best Easter egg, he will get to help the Easter Rabbit with his deliveries on Easter morning. He visits all the other rabbits in the forest to see what they are making. All the other bunnies are making magnificent eggs and Hoppi becomes discouraged, because he feels he can’t design anything as special. On his way home he stumbles upon a robin’s egg that has fallen out of the nest and decides that the most important thing he can do is to keep it safe. 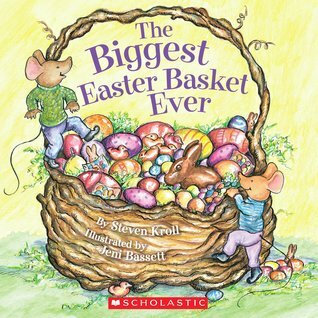 When the Easter Rabbit arrives, he declares the empty blue eggshell the winner as a way to reward Hoppi for his kindness. This book is a joy to read and a feast for the eyes. I love how Jan Brett always provides smaller border pictures, giving the children a chance to see other stories unfolding in the background or a hint of what’s to come next. 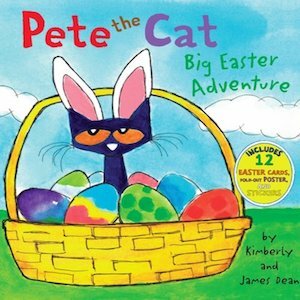 This is a gentle story full of lovable characters and an important message of kindness. 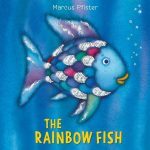 Younger children may find the book too long, so you can simply enjoy the pictures and summarize what is happening. Enjoy the words and place an emphasis on them as you read. Try to use some of the new words during the day, so that the children start to understand when to use them. This is book that your children will probably enjoy looking at bythemselves. Set up a cozy reading corner and a basket with 4-5 books. 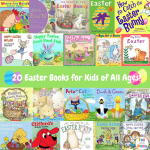 Here are some more Easter reads. Funny little bunny, please stop, stop, stop! 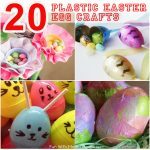 Now it’s time to enjoy some activities, so grab your plastic eggs and get ready to have some fun. 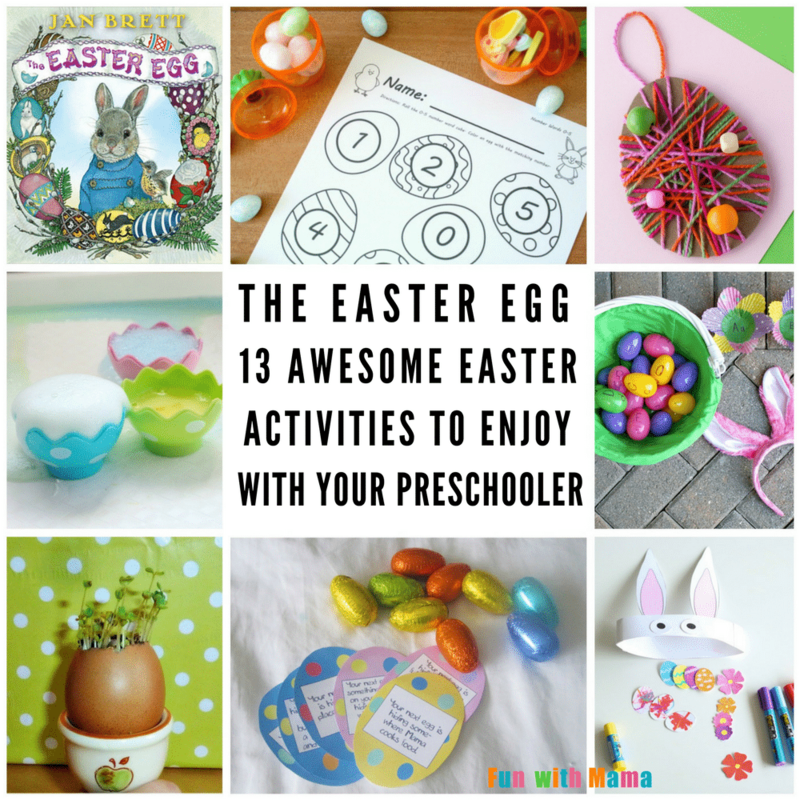 What Easter activity do your preschoolers enjoy? 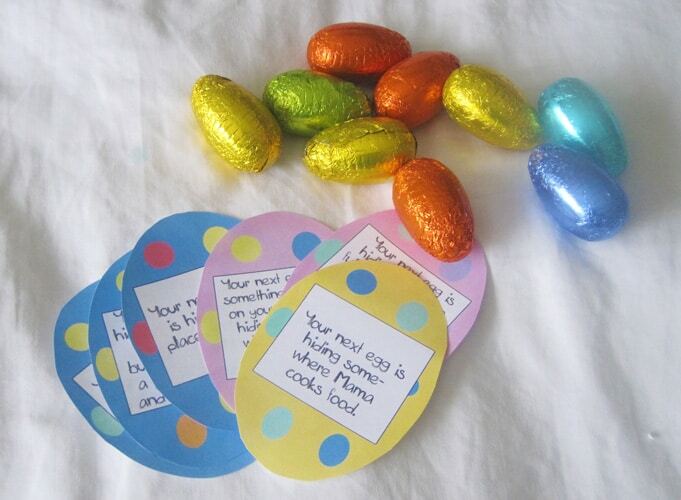 Do you have any Easter books to share? Leave a comment below.